Calligraphy Script natural rough stone helps the gentle release of trauma from the past, helping you to move forward into the future. It helps one stay positive through difficult times and brings back pleasure in life and nature. It is a great stone for long term business decision making, forward planning and prosperity on business trips. Use Calligraphy Script for travel, especially driving long distances. Calligraphy Script can help heal underlying fears, emotional issues and blockages from the past. and help you move forward. 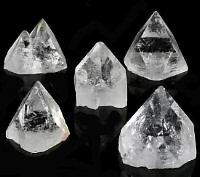 Calligraphy crystal assists in accessing the Akashic Records useful in past-life recall. Calligraphy script stone is helpful in contacting your guides and angels particularly through automatic writing. 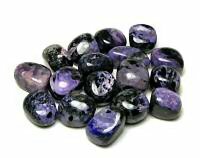 It is known as a diviners stone and can be used in the art of scrying or gazing, when you allow your mind to quiet with no distraction and thoughts and let your mind see the images that come through via your intuition. Calligraphy Script natural healing stone comes from India. 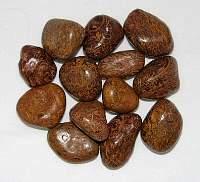 It is a naturally occurring fossil shell and Hematite Iron stone mixture. Metaphysical healing lore says that Calligraphy Script stone can ease skin complaints, scalp disorders, scar tissue and mobility issues. Calligraphy Script is associated with the solar plexus chakra with the third-eye chakra helping you to access your hidden powers.